I was interested in last week’s National Public Radio infographic, What America Does for Work. If anything shines a light on what’s going on in the U.S. economy, it’s a comparison of occupations today versus 1972, when the workforce began changing for a number of different reasons. The meatiest category in 2012 is government employment — federal, state and local, and military. It also includes public education. This presently accounts for 16.6 percent of the workforce. That is followed by wholesale and retail trade jobs (15.3 percent); education (private) and health services (15.2 percent); leisure and hospitality (10.2 percent); manufacturing (9 percent); financial activities (5.8 percent); construction (4.2 percent); “Other Services” (4 percent); transport and utilities (3.4 percent); media and telecommunications (2 percent); and mining and logging (0.6 percent). In 1972, manfacturing was clearly king at 23.9 percent of the workforce. Imagine that almost a quarter of the American workforce was engaged in producing a product for domestic or foreign consumption. And despite the gnashing of teeth over the high cost of the government workforce, 18.3 percent of the labor force were working for Uncle Sam, or a state or local agency, or the U.S. Postal Service. In other words, percentage-wise, the government workforce was bigger in 1972 than it is today. Wholesale and retail trade stood at 15.7 percent, not all that different from what it would be 40 years later. The picture is rounded out by professional and business services (7.4 percent); Lesure and hospitality (6.9 percent); education and health services (6.6 percent); construction (5.4 percent) financial activities (5.3 percent); transport and utilities (4.4 percent); media and telecommunications (2.8 percent); “Other Services” (2.6 percent) and mining and logging (0.9 percent). Obviously, manufacturing has taken a huge hit, to no one’s surprise. This sector of the economy has been blown away by outsourcing, much of it to developing countries where Americans can’t compete with the low-wage manufacturing operations that make companies more profitable despite shipping costs. The one big employment net gain for the U.S. in the past four decades has been in health care. There are a number of reasons for it. One is that the median age of the population has been getting older, so more care is needed. Another is that medical advances have gathered steam, and new technology is expensive. Physicians and other providers have also learned to practice defensive medicine in order to head off potential lawsuits. And consumers often beg for the latest drugs because they’ve been told on TV again and again to “ask your doctor” about a new treatment for this or that. However, some of the fastest-growing segments of the health care employment segment are in management, business, and financial occupations, which comprised 4.3 percent in 2008, and that will jump 16.8 percent by 2018, according to the U.S. Bureau of Labor Statistics. Office and administrative support positions already total 17.7 percent of the health care workforce, and are expected to edge up to 19.7 (that’s one in five health care jobs) by 2018. Between the two, that’s 36.5 percent — more than a third of the workforce in this category — by 2018. The U.S. health care system is one of the most complex businesses on the planet, and now we know what it takes to support it. And by the way, don’t assume that the other 63.5 percent are physicians talking turkey to their patients. A lot of the rest of it includes things like social workers and other mental health counselors, pharmacists, nurses, and lab techs. They are, however, directly involved in delivery of services. Isolate it to the insurance industry and you find that in the decade from 1997 to 2007, employment grew 52 percent from 293,000 to 444,000. Positions among providers, such as physicians and nurses, grew by 26 percent. This is far from the whole picture of the changes in our economy over the last 40 years. But it’s interesting to note that one of the main employment drivers these days is a top-heavy system, strained and politically contentious, that seems out of necessity on the brink of major change. What is the best marketing gimmick in the U.S. over the last decade or so? Well, possibly the free pizza come-on. Googling free pizza the other day brought up 254,000,000 results, or 82 pages of unique websites. A heck of a lot of people have been getting into the act. First of all, the prospect of free pizza is a reasonable one. If someone offers: “Win a free car!” you know your chances are about the same as finding a fillet mignon on the menu at Burger King. So why bother? 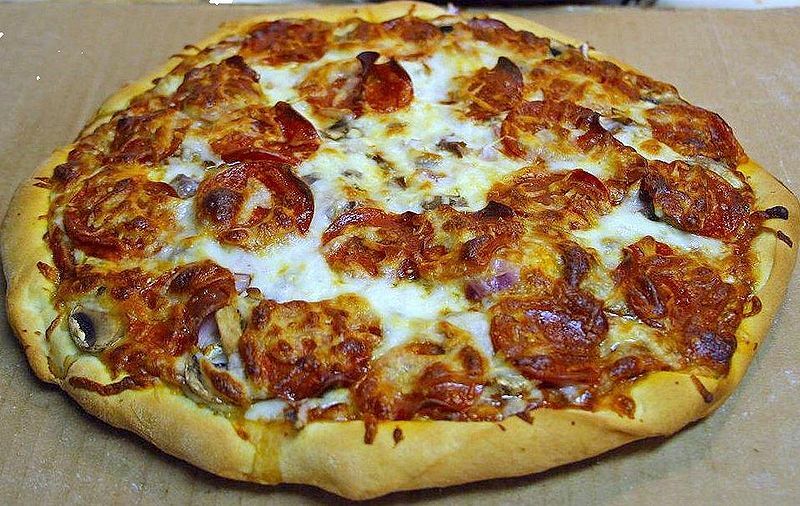 A pizza, though, is at its heart a very simple food. A little bread dough, rolled out thin, topped with tomato sauce (cheap) and mozzarella cheese (mostly cheap) and a meat or vegetable, and you’ve got yourself a respectable pizza. Mind you, I’m not suggesting that preparing a good pizza is easy, a fact that is glaringly evident in all of the bad pizza shops on the street, no matter where you live. But to put out a C- quality pie is not that difficult and if you’re hungry, it can still be pretty good. So Americans have become enamored with the stuff and marketers have stepped up to the plate. This is why we saw, last week, a urology clinic in Massachusetts offer free pizza (large with one topping) for customers who opt for a vasectomy during March Madness. Question. The guy they show on the couch watching basketball — is he even old enough to shave? I’m just asking. Maybe you need to have a little life experience under your belt before deciding to be sterilized. He should know that the coal fired oven of life burns on, turning out one freshly baked surprise after another. Chain stores are big on pizza freebies, with varying results. “If you’re anything like me, you’ve probably seen recent commercials advertising free pizza from Papa John’s if the Super Bowl XLVI is ‘called’ correctly by America and thought, what is this bogus hoax? There is even a band called Free Pizza and you can listen to their album, Kool Is The Rool, by clicking here. My favorite free pizza story goes back to 2008. A website designer went into his neighborhood pizza joint and said: How about I do a website for you and you give me free pizza? They said sure. But he didn’t know he’d get “a pizza or two per month” at Perfect Pizza in Inman, S.C. for putting together http://www.pizzaperfectpizza.com. “Of course I’ve got it to go so I can go home and watch something on TV,” he says in his YouTube video. The basketball tournament, perhaps …. There’s an invisible planet entering our solar system that will crash into the Earth on Dec. 21! Just so you know. Forget the last will and testament, and also cancel the pool service or snowplowing contract, whatever the case may be. And by the way, this information comes directly from NASA’s Jet Propulsion Laboratory and was covered in-depth by the the prestigious Scientific American magazine. Really, I think the most interesting thing about this Mayan-calendar-end-of-everything story is that NASA felt compelled to release a video debunking it. Every year we get hit with one or more end-of-the-world predictions and even though nothing happens, somebody is already gearing up for the next one. 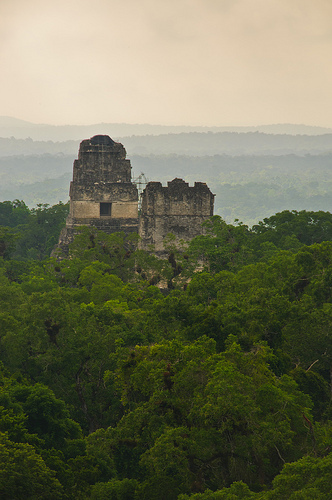 This one seems a little different though because well, it’s the Mayans. And they built all of these fab temples and could forecast solar eclipses, so they must have known what they were doing. No wonder the Mayan calendar apocalypse has attracted a lot more subscribers than usual. The theory is that since the Mayan calendar ends on Dec. 21, so will the world. You have to wonder about the Mayans’ predictive powers, though, since it turned out they were a little overly-optimistic in creating their calendar to last until Dec. 21, 2012. Another possibility is that we’re destroyed by a solar storm. That’s also debunked, as is the idea of a planetary alignment that throws us into chaos. The Food and Drug Administration has issued a grapefruit alert. Grapefruit juice, and eating whole grapefruit, can interfere with the absorption of some prescription and non-prescription drugs, the FDA says. Some oranges and tangelos have the same effect. What concerns me here is that now we not only have to worry about drug side effects, but also what happens when we eat perfectly normal, healthy food. Will we see pharmaceutical-like disclaimers on ads for produce? Dairy products? Stay tuned …. Like most people, I suppose, I’m a bit tardy when it comes to keeping up with the latest technology. Of course, I tweet — who doesn’t — and I’m on Facebook (nominally). I Skype. Not all digital innovation interests me. But I am intrigued with the potential of Google+ Hangout, a type of Internet videoconference in which anyone on the web, with a decent connection and webcam, can visually connect with others and chat about a specific topic. Free. It’s very possible that Hangout will replace videoconferencing for businesses, since there are many business-friendly features including the ability to group edit documents and write on a group whiteboard, according to the tech blog Digital Cupcake. You can also use it on Android Smartphones, so you could potentially hold a meeting while you’re waiting to catch a plane or taking a train into or out of your friendly neighborhood financial center. 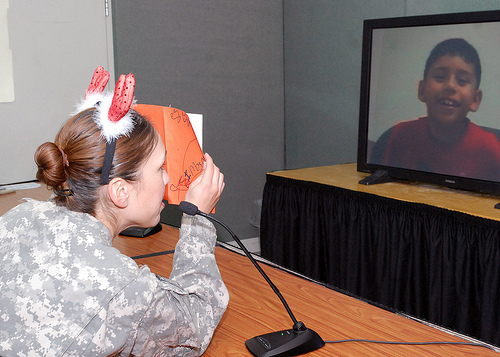 Service men and women could use it to hook up with family and friends around the country from foreign assignments. Up to 10 people can be in the conference at one time. There are some health applications as well, though. Let’s say you want to form a support group for social anxiety disorders, or infertility issues. Trouble is, your community may not have a physical group you can join, or you may be out in the ‘burbs someplace or in a more rural setting. This allows you to meet with people all around the world who are dealing with something similar. The Toronto Globe and Mail published a story last week about a global Hangout group for stutterers, called Stutter Social. Try finding that in your community directory of medical services. Times are posted for meetings so you can plan ahead. If you’re looking for something specific, you can do a search of Hangout groups on this website, or if you can’t find what you need you can start your own group. So now you can trade stories and offer wisdom and advice with people from New York to California, Australia to South Africa. If only that had been available for King George VI. Medicare reform has become a back-burner issue in this year’s presidential race. But among some Republicans, there has been an effort to revive the proposal to turn Medicare into a voucher program. Yes, I know they call it Premium Support, not voucher. But it’s voucher. Only 39 percent of Republicans would like to see the program based on a voucher system. Oops. I mean Premium Support.